I couldn’t resist to pick up some new fabric from Spoonflower, after they were showing what they were using for their Project Linus blocks. I loved it. Of course, while I was in there, why not pick up some extra prints ;-). 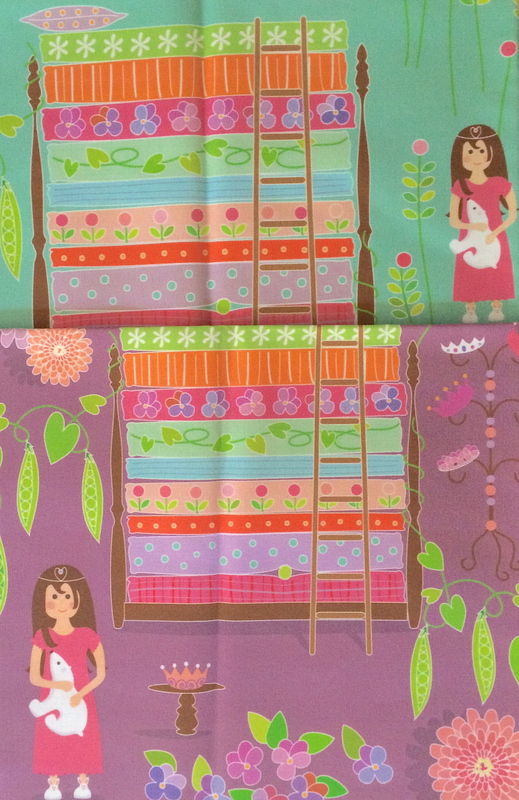 Princess and the pea fabric prints, from Girls collection, by designer Tamara Kate Serrao. Hope you enjoyed my Sunday Stash this week. Don’t forget to link up your stash with Rachel over @ The Floral Suitcase. She is hosting Fiona’s Sunday Stash, this week. This entry was posted in Uncategorized and tagged Annelie Hervi, Leanne Hatch, Spoonflower, sunday stash, Tamara Serrao on November 3, 2013 by mlwilkie. Thanks for sharing your amazing finds. There are some very talented unknowns on Spoonflower. And your choices are great. Can’t wait to see what you create with those! It’s a good thing I didn’t know shopping was an option – I really like that tribal collection you put together! The Hello Spring prints have great colors and design – thanks for sharing!